What’s one good thing you learned in church? During the month of April, a handful of contributors from Talking Taboo are running with this question – and inviting you to do the same with the hashtag #onegoodchurch. This week? Katey Zeh on the church as a place of experimental identity…and embrace. Growing up I never got to be the new kid in class. For some this might sound ideal, but for me it was stifling. I went to the same school my entire life, and when I graduated from high school there were twenty students in my grade, four of whom I’d known since kindergarten. If I could go back to that first day of school and talk to my five-year-old self, I’d tell her, be careful about what version of yourself you choose to be today because that’s the person everyone will think you are for the next twelve years. Church was my chance at reinventing myself. I didn’t grow up in a faith community, so when a friend invited me to join her one Sunday for youth group, I finally got my chance to be the new kid. And it was fabulous. I thought to myself, this room is full of people who know nothing about me! The labels that followed me around year after year in school—“so-and-so’s little sister,” the goody-goody—were suddenly meaningless. This was my opportunity to be someone different from the person I was during the week, so I just went for it. I tried a lot of different identities, but my favorite to play was that of the rebellious mischief-maker, cracking jokes during the devotional time and finding opportunities to sneak out of the church building when the adult volunteers weren’t looking. Church was the one place I wasn’t worried about how my shenanigans might get me into trouble or lead to a stern conversation about how I’d disappointed someone. Church equaled freedom and acceptance. No wonder it drew me back week after week. At that time in my life I desperately needed a safe space where I could act out. The immature antics I pulled at church were fueled by my anger over what was happening at home. My divorcing parents had been battling it out for years, and I didn’t know what to make of all the disruption and chaos happening around me. Since no one else in my family went to church, Sundays were my escape from the gossip and invasive questions that humiliated me at school. Sometimes grace takes the form of a patient youth minister. After some time I outgrew my desire to be a troublemaker on Sundays, and I started to take my faith more seriously. Church had become my community of choice, and I was ready to make a commitment to it. One summer day I walked in a white robe down to the beach across the street from our sanctuary and was baptized in the ocean by the same youth minister whose patience I had tested only a few years earlier. As I emerged from the water, my eyes stinging from the salt and bright sunlight, I caught a blurry glimpse of the congregation that had formed around us. Clapping and cheering, they met me at the edge of the foamy water with outstretched arms to embrace me just as I was in that moment—soaked, sticky, but spirit-filled. I’ve learned that church can take on different identities, too. It can be worship in the sanctuary on Sunday morning. It can look like a rowdy bunch of teenagers in the fellowship hall. Its current form in my life is a community of faithful advocates who are committed to social justice. Undoubtedly it will shift its shape again. But no matter what it has been or what it will be, church is where I always have found the embracing grace to be who I am, sticky or not. 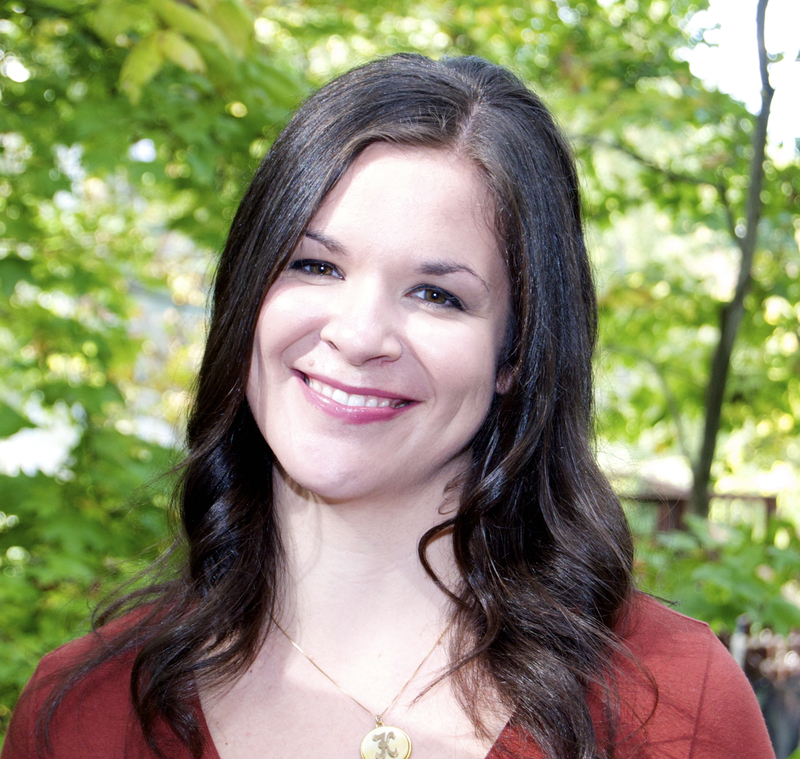 Katey Zeh, M.Div, is an advocate, organizer, and writer for global maternal health. A graduate of Yale Divinity School, she currently serves as the Director of the Healthy Families, Healthy Planet initiative of the United Methodist General Board of Church and Society. Katey has written for Response magazine, Huffington Post, Religion Dispatches, Feminist Studies in Religion, and Mothering Matters. She lives in North Carolina with her husband Matt and their daughter Samantha. Visit her website at http://kateyzeh.com/ or follow her on Twitter @ktzeh.